Busy home managers have many reasons to dread entertaining, whether it's drop-in visitors or a large party. Entertaining can be costly, in time and in money. Our homes may not measure up to the standard touted in glossy furniture store ads. Often, we're unsure of ourselves in the role of hostess. Many of us didn't learn the knack at Mother's knee-yet we still measure ourselves against her yardstick. Also on the same event, I got reacquainted to my favorite Dolce Gusto flavors. Though this time prepared by a new product -the Mini Me. Familiar with Dolce Gusto machines? Not? Dolce Gustos are not your ordinary coffee-makers. What you'll have are cafe style coffees at the comfort of your own home, that's if you own one. AyosDito.ph, the internationally affiliated internet buy and sell portal with counterpart websites in more than 30 countries, recently hosted iBALL, an appreciation party for media including online journalists affiliated with news sites and blog sites as well as social media. There are those special moments – like hiking to the top of a mountain and being surprised by a spectacular view laid out before you, or a particular conversation that made you feel deeply loved, understood, and appreciated – which can make all the rest of the daily grind worthwhile. 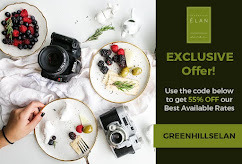 But if time does not permit, nor your special someone is away, why not just indulge with a good company, at an upbeat venue where music conspires with your favorite cocktails and of course great-tasting tucker. Tucker is slang for food in Australia. It was so timely that I was able to give this new restaurant a go. Skippy's Bar and Grill serves up to gladden our growling tummies and cravings for that particular dish authentic to Aussies. Bhogs and I never thought of having another island-hopping experience with the kids. The first one the family had was at Boracay, our two girls were so small to really enjoy swimming on vast seas with schools of fish around them, they were wee scared then. 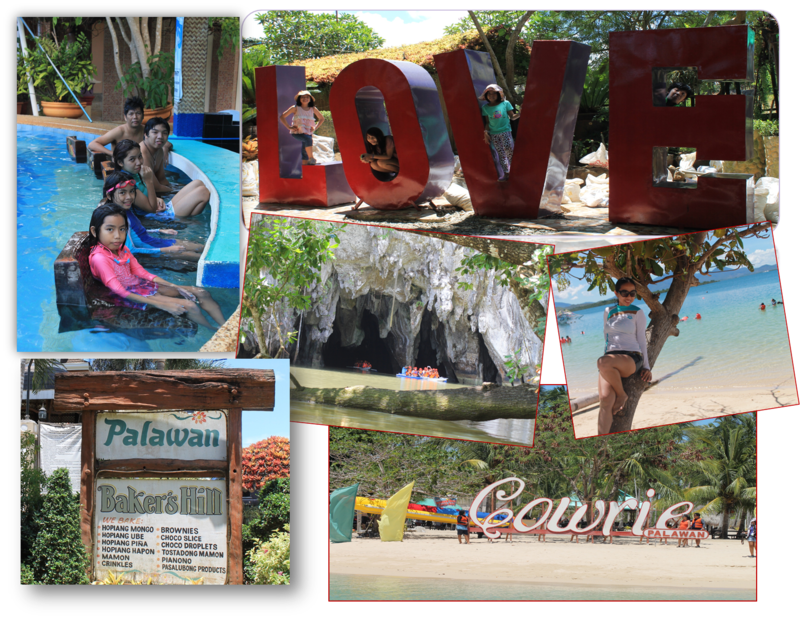 Our initial Palawan tour itinerary does not include this. Though we prepared for additional costs of travel and we had our credit cards ready. Thanks to Mang Eddie- our ever reliable tricycle driver and Puerto Princesa city tour guide, we were able to book for it, just before we had our city tour. The usual fee from DOT accredited tour agencies costs P 1400 which includes lunch and all other fees that goes with the tour. We were able to haggle at P1200 each, while the kids are at P1000 each with Tourister Travel and Tour. Engulfed in lavish interiors, staying true to the brand’s posh reputation and proud lifestyle heritage, Buddha Bar Manila, have been a nesting place to Makati's yuppies and fashionistas for more than two years now. 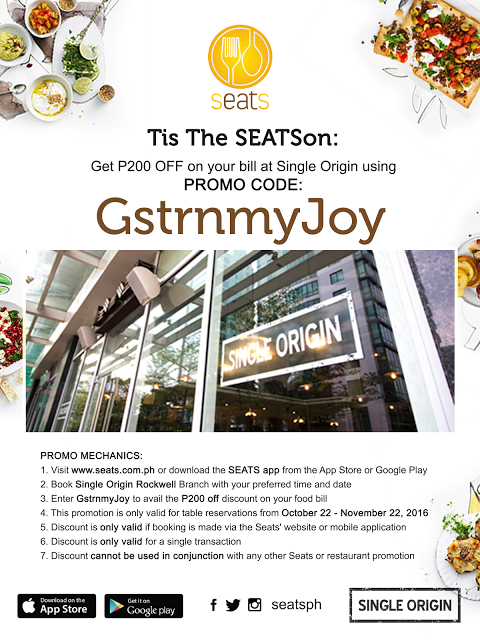 A culinary and foodie playground, it is known to be one of the country’s top restaurants, offering a wide array of cuisine. From Western delicacies to the delectable Pacific Rim dishes, Buddha-Bar Manila never fails to surprise its diners and patrons with new and flavorful food. 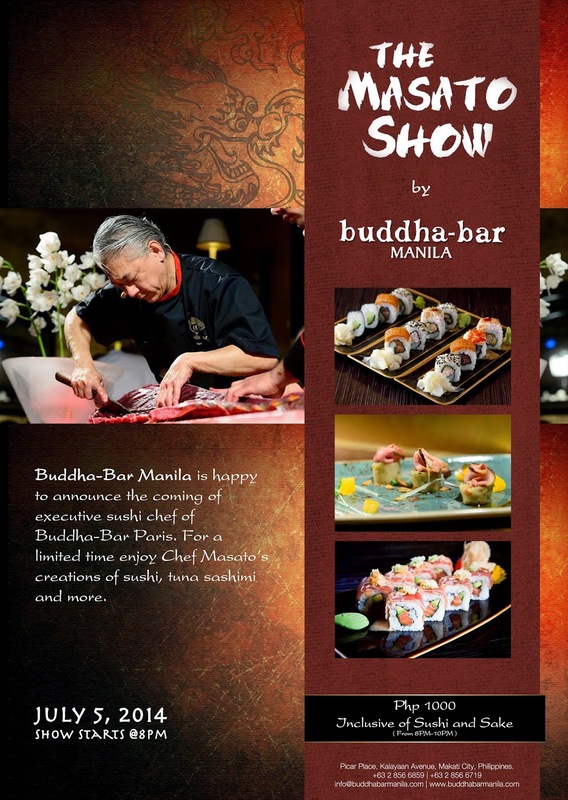 To treat us food lovers, Buddha-Bar Manila brings in world-class renowned Japanese chef, Chef Masato. Chef Masato is currently Buddha-Bar Paris and Buddha-Bar International’s Head Sushi Chef, directly involved in crafting sumptuous and mouth-watering sashimi and sushi rolls set to satisfy every patron’s taste buds worldwide. Real kitchen action will be shown in front of the diners and detailed sushi making will be explained by Chef Masato. Guests will witness the art of authentic Japanese sashimi and sushi preparations and served straight from Chef Masato’s station, guaranteed fresh and tastes heavenly. To give a glimpse of the upcoming event, watch the movie clip below. Buddha-Bar Manila welcomes Chef Masato this July 5 as the international chef serves his genius creations of fresh tuna sashimi and sushi rolls, prepared right in front of you. Chef Masato will be showcasing everybody’s favorite, the Buddha-Bar signature sashimi and sushi rolls best paired with wine and sake for only Php 1,000! Head on to Buddha-Bar Manila this July 5, from 7:00 to 10:00PM for an exclusive feel of authentic Japanese cuisine and sushi experience prepared and served by the genius himself, Chef Masato. Not long ago, when FIFA World Cup is not on season yet, hubby and I delighted ourselves with watching The Pickers, Pawn Stars, Kings of Restoration and Storage Wars, every morning (and the evening before that) on History channel. Both of us love knowing stories behind every vintage items featured. It's not that we got stuck on the era where phone booths, jukebox and discos were the "in thing." But it amazes us how such old, yet timeless pieces can still be sparkling and exciting. Thus, one of the things that get us through at times when we needed to dine out is having hearty meals or snackaroos at places with vintage vibes. Best example would be Johnny Rockets. 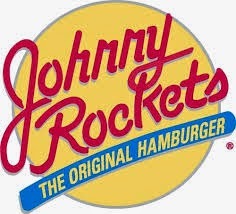 It was my second time at Johnny Rockets (but had my first on a different branch) and I can still remember how fun it was seeing their staff invite diners with their dance, to the tune of 70's and 80's music. Just a reminder to those who plan to apply at any Johnny Rockets' restaurants, make sure you practice well with your dance pieces so you can be sure of landing a spot for the job. I'm not kidding! Well anyways, I was recently at their Eastwood Mall branch and I was blessed enough to try their latest gourmet burger and beverage. It was a bloggers' event and it was indeed a pleasure to be part of it. But before I announce their newest offering, let me share this photo. My hubby for sure will be dumbfounded when he sees this. Not the booty dance, you silly! I was eyeing on the vintage coin dispenser on one of the staff's belt. We just saw this one in an episode at The Pickers, and they bought one from a lady from Texas, collecting all sorts of things. Just one of the nifty things you can find inside the retro resto. Now, drum roll please, let me introduce their latest gourmet burger, the Lobster Wagyu Burger. An order will cost you P 925. Served on a wooden board, you will have the gourmet burger, a hefty serving of French fries and half of a big grilled and buttered shrimp. The Wagyu beef patty sandwiched on Kaiser buns with Iceberg lettuce is topped with lobster mayo dressing. I know, Wagyu alone sounds expensive (that's why it's classified under gourmet, duh!) but with an addition of lobster it's a different level all-together. "Why Wagyu", you may ask. People often describe its kind of meat as melting - real wagyu almost literally does, as the high fat levels baste the muscle from within. I'm not just sure where they got the Wagyu beef? I did not find that ideal in Johnny Rockets, but I do love the taste of the lobster dressing on top of it. Surprisingly, Wagyu and lobster complemented each other's taste. But all-in-all, ordering one can worth every cent, I mean just the experience of having lobster on a burger is just a treat already. Don't you think? How about a foie gras burger next time? For the adventurously wild epicures, here is their newest beverage, the Wasabi Milkshake (P 295). If you have Wagyu, the next best bet would probably be anything with Wasabi. In this case, it was infused in their famous milkshake. A bold and brave take on their famous milkshakes. Wondering why their shakes are good? According to Mr. Bondoc (Johnny Rockets EVP-COO), they use a different cream with a specialized butter content, making every sip smooth and the flavor associated, rich. I honestly love my first sip. But I wasn't able to finish the whole tall glass, the effect of wasabi really got into my senses and almost gave me a headache. It was overpowering towards the mid glass. If they could have toned down the wasabi flavor down to a hint, it would have been a blast of a shake. Without question, my family is definitely mad for pizza, as if it's meant to be devoured. My kids think of it as the greatest invention in the history of mankind, hmmm I guess next to computers. Whoever have invented it must have been really friends with the food God. On the contrary, I somehow see it as a work of art and a feast in itself. No matter what shape it may take up, it still look and smell incredibly delish. So, when an invitation landed on my inbox to try a newly opened pizza joint and restaurant, I could not say no, even if I have a scheduled engagement on the same date. I’m an emotional eater. If something’s worth celebrating, we’re going to grab pizza. If it’s going bad, girl, pass me the steaks and desserts. How about you? 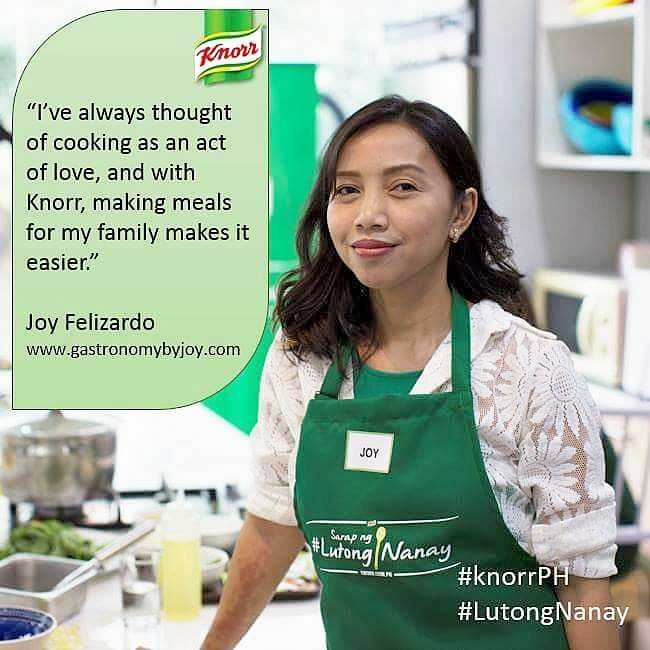 So, nothing could be a better answer to that than knowing there is a place where your cravings can be satisfied to the brim without burning a hole in your pocket. No matter what type of food you're craving for. 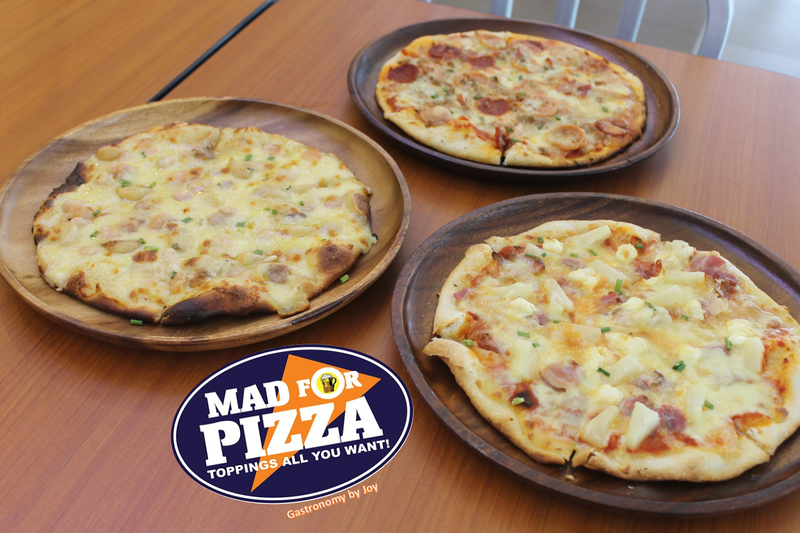 Mad for Pizza is our place, located at Il Terrazo, Tomas Morato. I can't really tell whether the owner's character were embedded in the design concerns of the restaurant. I find the place very masculine yet brisk. Wooden floors, long wooden bench on one side of the resto, vintage-look metal chairs and a long bar on the other side of the room, all seemed to be elements of simple, sporty interior vibe the restaurant may want to render. However, Mad for Pizza still is a great place to bring your family or friends with its wide dining venue and the open kitchen is one heck of a showcase for everyone as well. As suggested by the owners, if you can't seem to find time choosing what to put on your pizza, one can opt to have the three recommended pizza creations - Andross' Choice, Anya's Creation and Justine's Favorite, each for a very affordable cost of P 250. Not only that pizza is an all-time favorite comfort food, it also is fun designing your own kind. 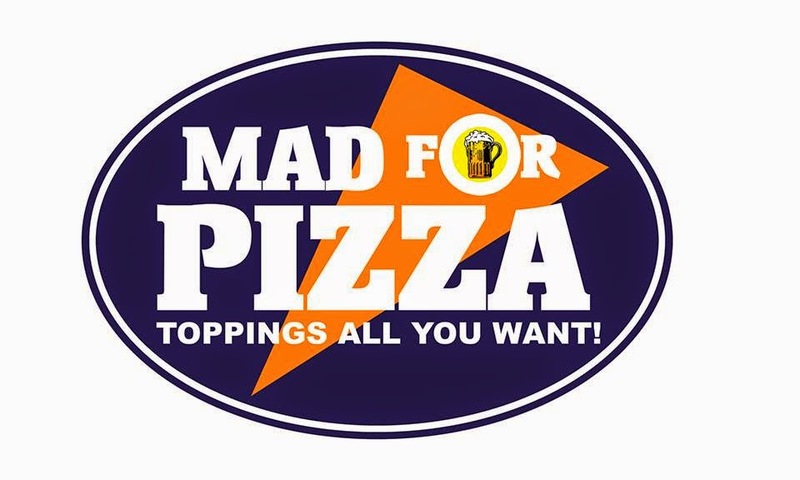 With pizza joints adapting a concept where diners have the freedom of putting their choice of toppings, Mad for Pizza's open kitchen is brimming with high-quality sauces, cheeses, meats, and vegetables plus four options of crisp and chewy homemade doughs. At the top of the open kitchen is the huge painted wall on how to go about customizing your pizza. The toppings all-you-can pizza is very affordable at P280, diners are also assured that the preparation stay interesting with its expansive, forty choices of garnishes —no shortcuts, all-natural and flavorful. To begin with, the pizza doughs available in Classic, Garlic Parmesan, Herb, and Spinach are especially prepared in-house which takes up a notch the pizza experience. You can easily judge how meticulous the staff are when making your pizza. Even your choice of crust is made from scratch. The photos above are some of the customized pizza created for my blogger friends. Don't you think with these, pizza is like the entire food pyramid already! An afternoon of delightfully prepared plates awaited us. I began the feast with Rock and Roll Nachos (P 178). 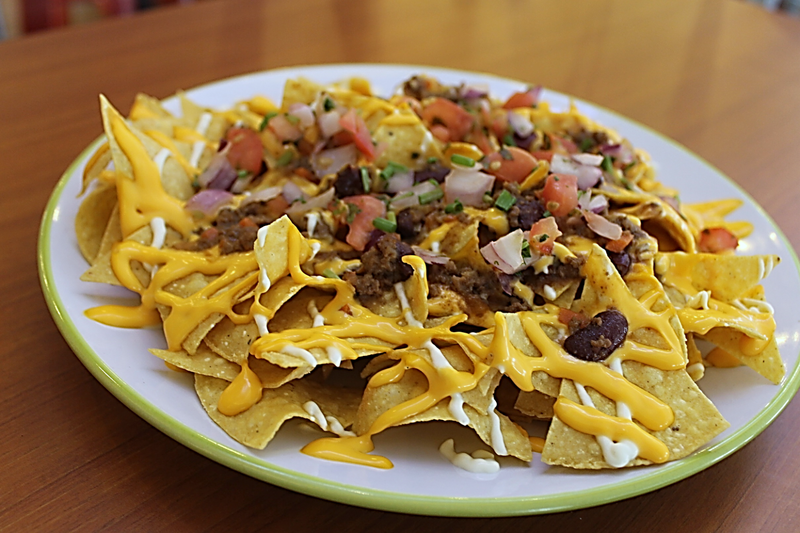 The crisp nachos were smothered with chili, drizzled with melted cheddar cheese and light mayo. The house salad is your regular salad greens but made fruity with an addition of peach slices. Already spiked with a tangy vinaigrette when served at P 158 only. 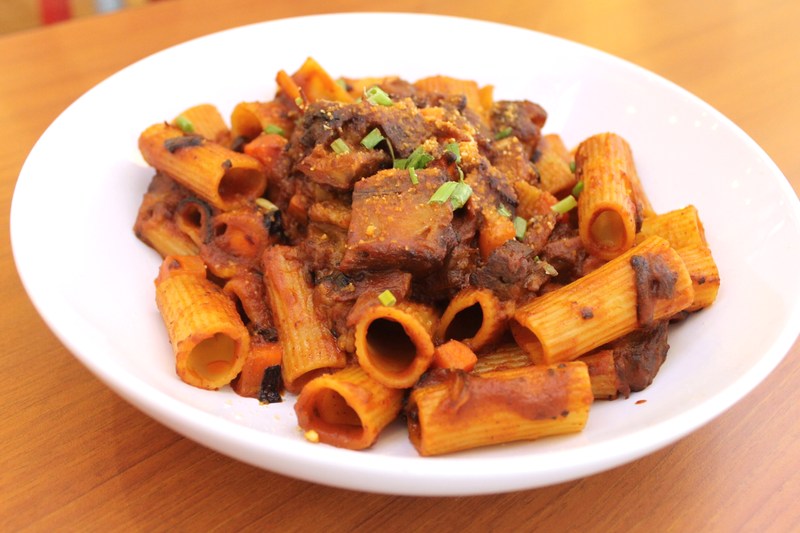 One of the dishes I truly like is the Beef Stew Pasta (P188). I was however getting a bit of an earthy taste (like a hint of coffee on the sauce or maybe a deglazed cooking wine). The rich sauce clinging to the rigatoni pasta mimicked the luxurious, mouth-coating texture of beef stews made with homemade stock. According to them, the sauce is infused with tomato based sauce mixed with stewed slices of smoky Angus beef belly. Here now is the "Amboy" (P 218), a dish they take pride on. 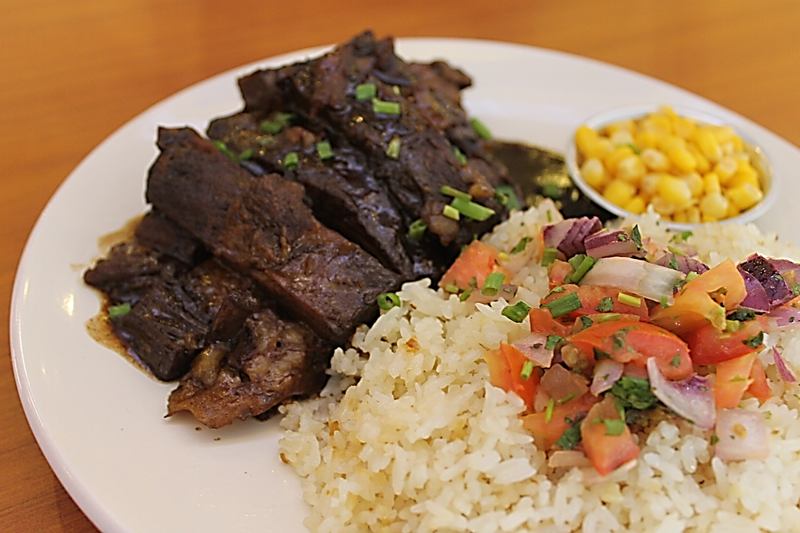 It's actually an Angus Beef Belly in Adobo Sauce. Prepped and tenderized through overnight marination to ensure its melt-in-your-mouth texture, the semi-sweet adobo sauce that lingers in the meat gives this dish a delicious Filipino-American flair while heightening the beef belly’s tasty components. 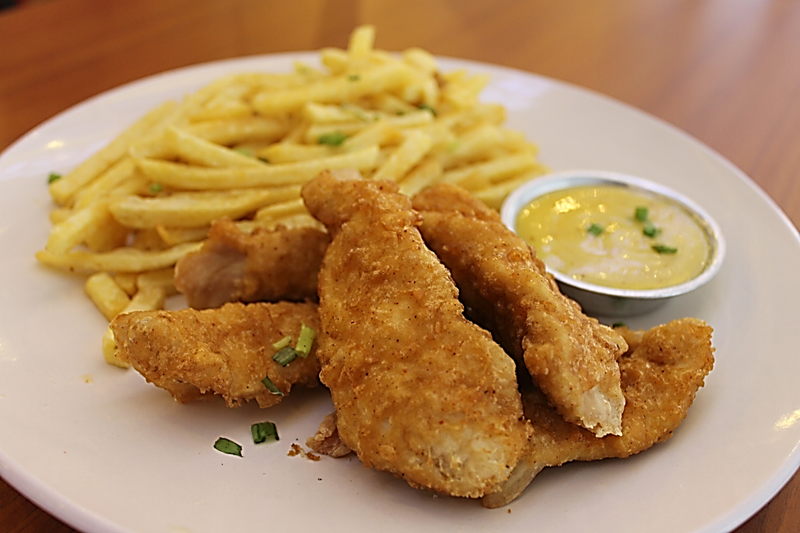 While for those who opt to enjoy a seared and fried dish, Classic Fish and Chips (P188) is a meltingly tender dory fish wrapped in crispy, lightly coated pancake breading with a whiff of vanilla essence. Aside from the hefty serving, its freshness also makes the dish enjoyable in more ways than one. When it comes to beverage selections, Mad for Pizza introduces edgy, perfect for family drinks that is every bit refreshing. Currently popular is the Frozen Iced Tea (P98) which possesses a smoothness that’s perfect for all types of grubs and made luscious with concentrated iced tea, and pineapple with the tang of calamansi. 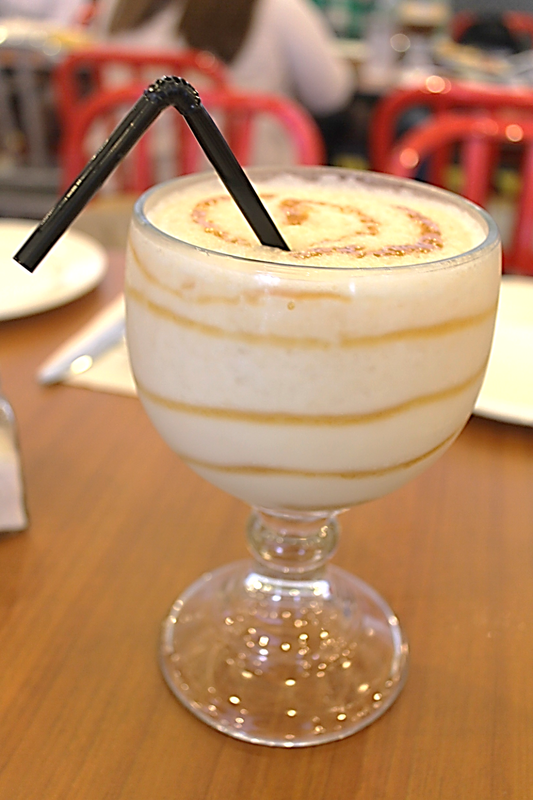 For a beverage that’s both satisfyingly stimulating and can qualify as a dessert drink, Salted Caramel Milkshake (P98) features the clever flavors of vanilla ice cream, and caramel sauce with salt infusion. Chilling out is usually synonymous with beer, so what else can be a better way to enjoy an oven-fresh pizza other than an ice cold, crisp and malty draft beer. Look forward to premier brands Hoegarden and Stella Artois, which works well with scorched, crusty and meaty pizzas. Aside from the fact that draft beer clearly stands out for its smoother taste, beer lovers will agree that there’s always a better experience with beer drawn from a tap since it signifies a celebration in every sip. Cocktail drinks are also perfected by the experts—everything’s a no-fuss drink which stands out for its festive 21 oz sizes and flavors with a punch. All at P180 per serving, the Margarita, Sea Breeze, and Mojito are deliciously sophisticated and awakens the palate. But if on the look out for something familiar that step right up to company, the bright and sharp taste of San Miguel Pale Pilsen will never disappoint. For a sweet ending, you can choose from four choices all having a price of P 88. Have the Banoffie Cubbler, potassium filled with enough banana slices, to satisfy your craving for a creamy yet hearty dessert. Maybe you are feeling extremely bummed out or on the other hand gay after completing some tasks, it's good to reward yourself with a mango topped Panna Cota. A dessert that has an exceptionally light and silky mouthfeel bursting with creamy goodness. 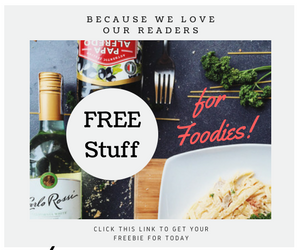 I can more or less agree that when it comes to food, there’s always a better experience when choices are affordable, big serving and offers many options. Mad for Pizza truly combines the best of both worlds where feast and flavors meet, an affordable indulgence without the compromise on quality, plus a pleasant venue for foodies hankering for delicious food and few drinks. For delivery and take out, call (02) 3512621. Some years ago, in one of our family's spontaneous out-of-town trip, we ended up at Tiaong, Quezon where one of our church elders were able to buy properties and had an outreach for the church built. That was a Holy Friday, the best I could recall. During our stay at their house, we asked what else Tiaong is famous for aside from their succulent mangoes. According to our friend, people would talk about a pottery place called Ugu Bigyan. Without them knowing it was an artist's name all along. Had I not search online I would have known as well. With that thought, I consoled my myself that we will visit the place in time. 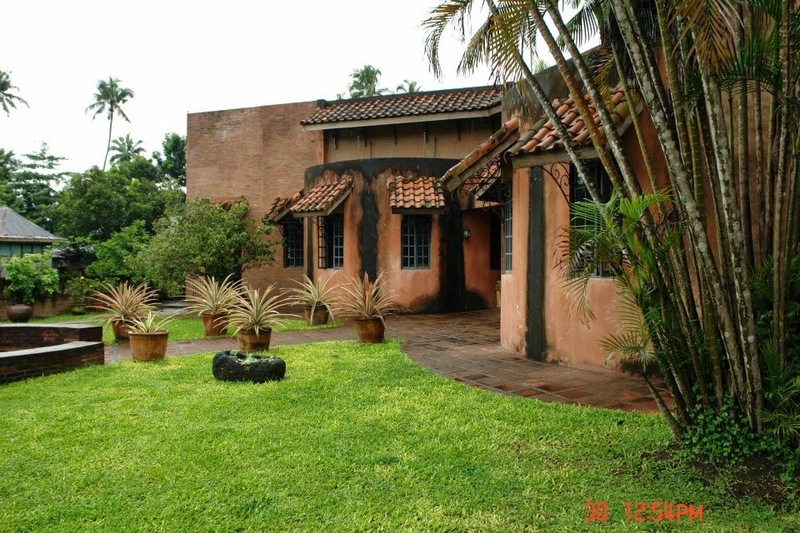 The longing for that visit grew stronger when a friend blogged about Ugu Bigyan's house. Lady luck was still not on my side yet as several attempts to visit were always amiss. However, I would want to share an inspiring article about Ugu and how DepEd was able to tap him to give a hand in how K to 12 Program can be extended, making the curriculum more interesting to students. In the quaint barangay of Lusacan in Tiaong, Quezon, residents have become used to seeing latest model SUVs trudging the bumpy road that leads to the brick house of Augusto “Ugu” Bigyan, the celebrated potter favored by the rich and the famous. As any self-respecting artist, Ugu does not have a marquee to let the public know what he has. His loyal clients do it for him. No doubt about Ugu’s popularity. Fact is, Queen Sirikit of Thailand has invited him twice to be part of select Asian artists who shared their craft with the Thai people in an art festival to celebrate the royalty’s birthday. 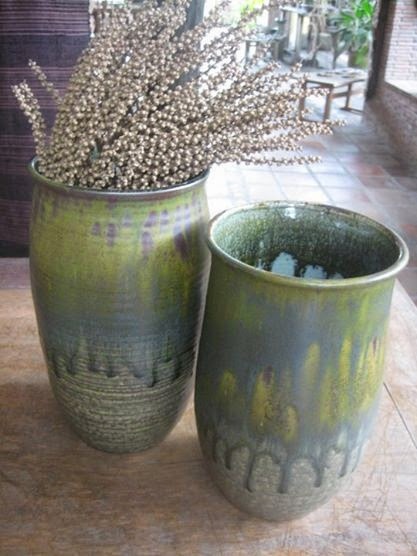 Self-taught in pottery, Ugu gets inspiration from the earth, from nature. The potter’s medium is clay –the raw material for his terra cotta bricks, chimes, vases, wall decors, ceramics and various works of arts. From the soil, he also gets intimate with the roots and trunks of uprooted trees, flowers and leaves of indigenous plants. All these are food for his art. He takes in nature and exhales nature-inspired art pieces that find their way in the souvenir shops and rooms of posh resorts such as Amanpulo, El Nido, Boracay Shangri-la and Crimson Hotel. And in the homes of those who can well afford his art pieces. Ugu learned the technical side of potttery from Jaime de Guzman who has since moved to Sagada. “ It helped also that my father and siblings know how to manufacture the pottery equipment that I needed which enabled me to focus my energy on creation,” Ugu said. “ During my travels abroad, I noticed that many people draw their livelihood from their traditional arts, crafts and culture especially in countries that thrive on the tourism industry like Vietnam and Thailand. I believe that if we can only awaken that creative consciousness among our youth, we can reconnect with our culture and become prouder as a people,” he explained. And help create jobs too. 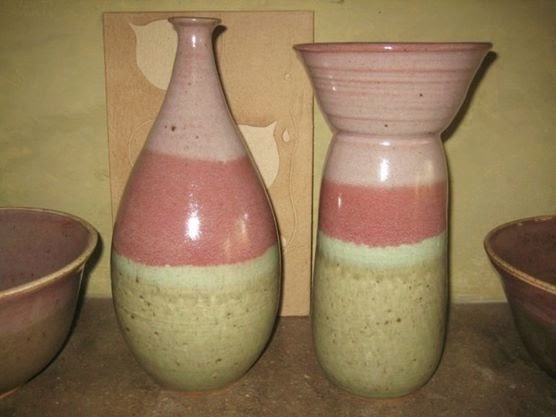 “ If through K to 12 we can produce a new generation of young potters who can be more creative than myself, I will be pleased,” said Ugu. But Ugu has to lay the predicate before agreeing to the DepEd invitation to teach for K to 12: “ I require that the school should first shortlist the students who are really interested and willing to learn. “Baka mabarino lang ako kapag ang ipinasok sa akin ay hindi naman pala talaga kursunada ang pottery ay sayang naman ang oras naming pare-pareho. Doon sa mga interesado, gusto kong buksan ang kanilang mata sa sining.” ( I might get pissed if I have students who are not serious. I do not want to waste time. To those interested, I really want to open their eyes to the art of pottery).